Kochi: We are living in a world where we hardly find time for ourselves, our jobs keep us occupied throughout the weekdays, we don’t find time for exercise, which has increased many lifestyle-related diseases. There is hope in the midst of all problems. There is a new community which is growing day by day. Many have started cycling as a form of exercise and as a vehicle to explore different places in the city. We were interacting with the group of cyclists who came down from different parts of the city. 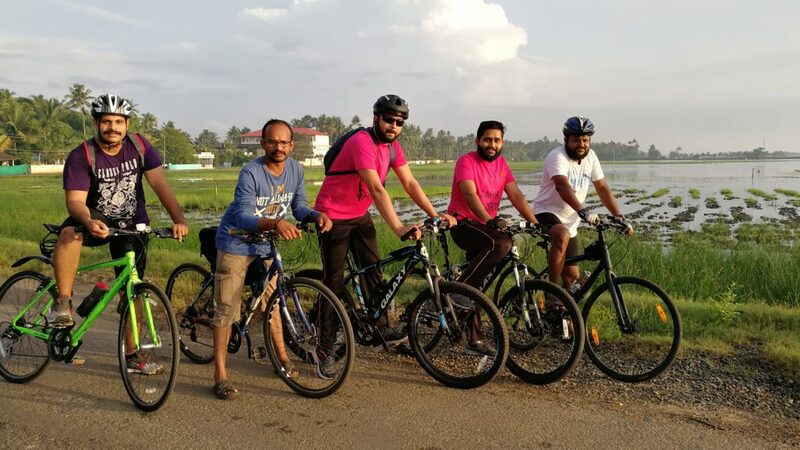 Jackson Pullicakal, a rider in the group told us about their weekend exploration rides and the fact that, places like Kadamakudy are best explored on a bicycle. Most of them have bicycles which can be ridden for long distances, they participate in many cycling events. Their next plan is to visit Athirapally on a bicycle. There are many advantages of using a cycle. It’s the ultimate solution to the ever polluting cities in India and the traffic woes. It creates a healthy lifestyle which keeps the cyclists away from different forms of addiction. Research shows cycling improves mental well-being. It also supports weight loss and helps build muscles. It cuts the chance of heart attacks and cancer by half. You can read the report here. Recently, a cancer awareness ride was conducted by Cochin Bikers Club along with Asianet covering a distance of over 100 KMS. The event had 150+ participants and concluded at Sacred Heart College, Thevara. The Principal of the college, Fr. Prasant was also one of the finishers. It was organized on a Sunday keeping in mind the traffic. It was attended by women and children as well. The youngster finisher being 13 years old. This calls for an infrastructure to support the cyclists. Kerala is blessed with backwaters and a dedicated cycling track along the coastal highway will increase the tourism potential of the state. Many countries, such as the Netherlands already have such initiatives. It’s high time, Kerala leads the way in India. Like they say, the cycle is the simplest solution to world’s most complicated problems.